The driver will always be one of the most important clubs in your set as it will affect your game in more ways than most other clubs, and so you cannot afford to choose a poor quality one. However, this should be the least of your worries with the TaylorMade M4 as it makes use of various technologies to ensure that you will always get straighter distances, more consistent spin, and ultimate forgiveness. The driver will always be one of the most important clubs in your set as it will affect your game in more ways than most other clubs, and so you cannot afford to choose a poor quality one. 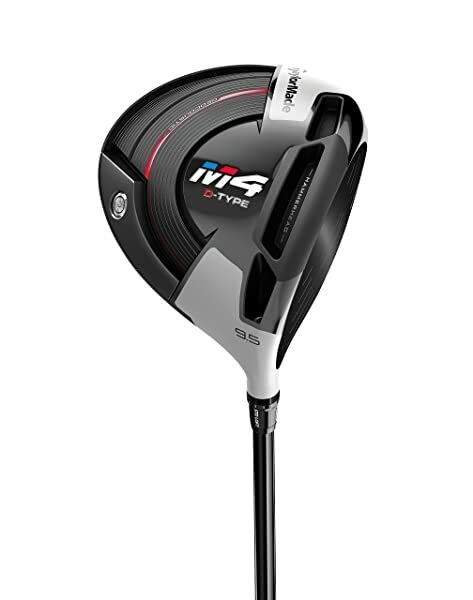 However, this should be the least of your worries with the TaylorMade M4 as it makes use of various technologies to ensure that you will always get straighter distances, more consistent spin, and ultimate forgiveness. These technologies and design include the Twist Face technology and Hammerhead Slot. Also, there is an adjustable hosel on the driver that makes it possible to optimize loft and lie for more customized shots. The shaft is graphite, but it is available in various options, and you will also get to pick from different flex options. 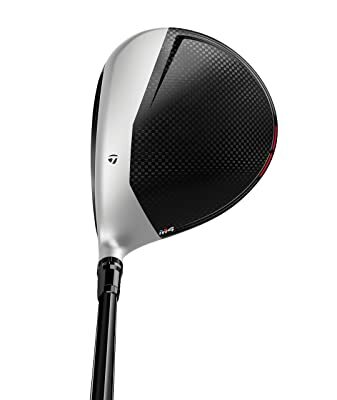 TaylorMade M4 also produces one of the best sounds on impact that you can get from a driver and it is generally a lightweight and easy to swing club. Twist Face Tech: This unique technology gives the club a new curvature to help minimize side spin. And it does this by altering the loft around the areas where mis-hits occur mostly to make it easier for golfers to find the fairway. Hammerhead Slot: Another unique feature of this club that features a reinforced portion of the outer part of the slot to create a lighter and more flexible face so that you always get larger and hard-to-miss sweet spot. Adjustable Hosel: With the adjustable hosel on this driver, golfers will be able to fine-tune the loft and lie and personalize the launch for a customized performance. Geocoustic: Because sound matters a lot when it comes to boosting a golfer’s confidence, TaylorMade shapes this driver to produce a solid and explosive sound when it makes contact with the ball. Shaft: TaylorMade uses the more lightweight and highly durable graphite shaft on this driver to make it easier to swing and more flexible. And you can get this shaft in ladies, stiff, senior, X-stiff and regular flexes. 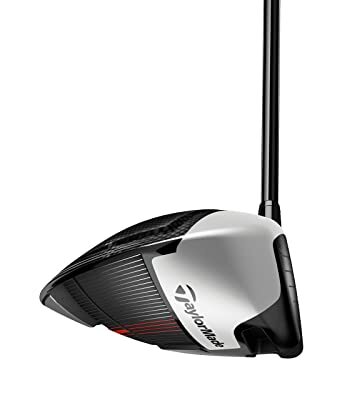 The fact that this TaylorMade driver costs more than the average ones is a good indication that it is a top-notch driver designed to offer the best performance. It makes use of different technologies to improve its design and performance, and it will always deliver straighter shots and more consistent spin which is just what you want from your driver. If all the technologies and impressive design do not impress you, the sleek look of this golf club and confidence-boosting sound that it makes on impact should be enough reason to buy it. But, before you decide to buy it, you should know that the face feels a little different, and it will take some time to get used to it and it might not be the best for the slow swing golfers.